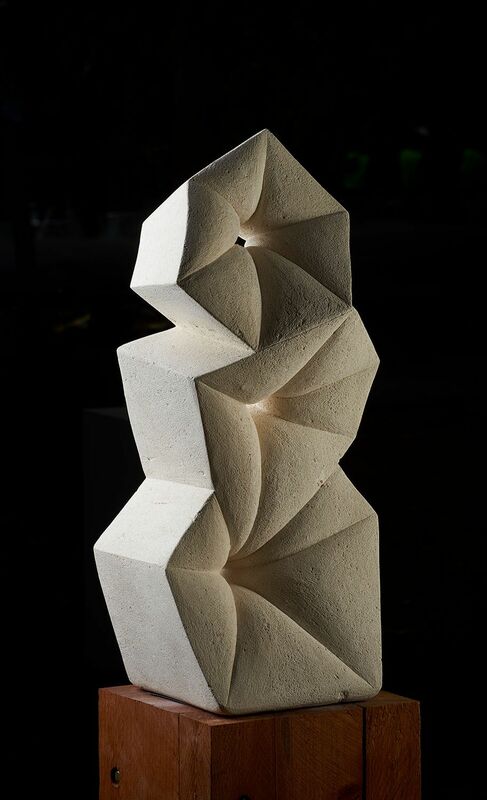 I'm a sculptor who works primarily in limestone, producing abstract organic forms for exhibitions, galleries and commissions. 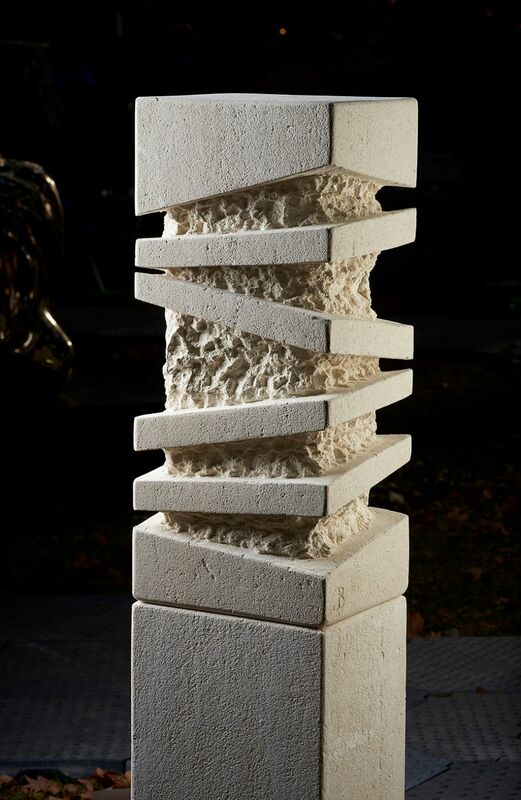 The Association of Sculptors of Victoria (ASV) again presented a sculpture exhibition as part of the Melbourne International Flower and Garden Show (MIFGS) from Wednesday 27th March to Sunday 31st March. I entered three pieces and demonstrated during the show. It was great fun as usual, although Saturday and Sunday were a little wet. The fabulous photos below were taken by Rob Anderson for the ASV website. 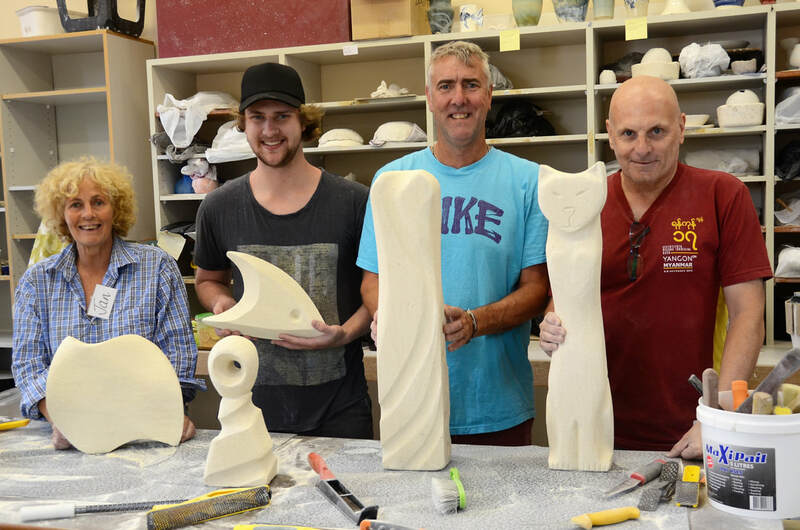 The Limestone Sculpture Workshop in Camberwell on 3rd March was great fun - below are the participants with their wonderful creations. The next workshop will be on Sunday 28th April. You can see the WORKSHOPS page for details and book at Trybooking. 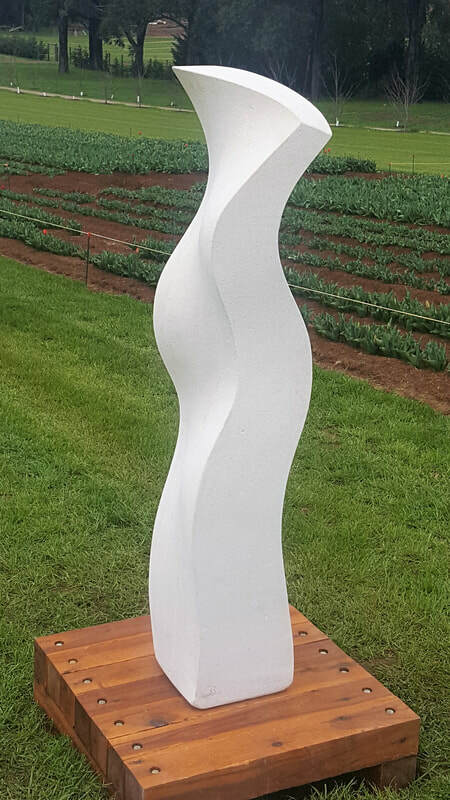 The Tesselaar Tulip Festival was held between 15th September and 14th October 2018. 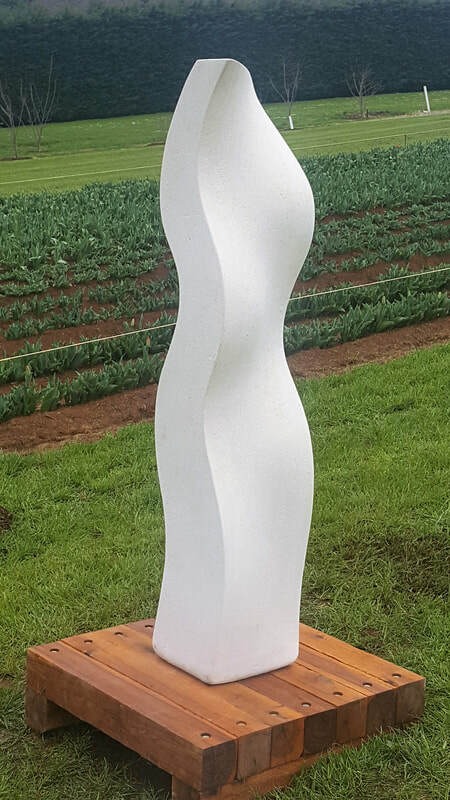 I am very pleased and surprised to say that I won the $20,000 Tesselaar Sculpture Prize for my piece Synergy , which was shown, along with the other 24 finalists, between the rows of beautiful tulips. 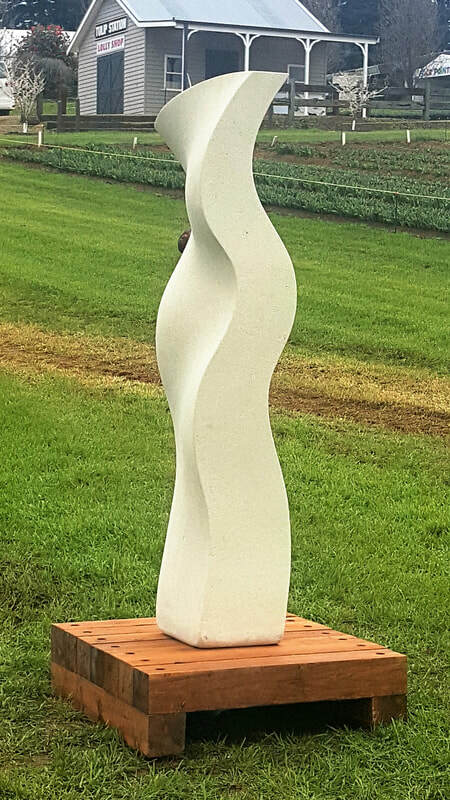 Now that the festival is over, Synergy will become part of the Tesselaar sculpture collection and be permanently displayed in the beautiful gardens. Here are some photos of Synergy on the day I delivered it. It is 1.5 metres tall, around 30cm wide and deep and around 130kg, so it is a bit more work to move than my usual pieces.